Note: This post will be followed quickly by another detailing the schedule of opportunities for public input (that we know about). There has been surprisingly little public debate to date over the proposition of a new casino in the Albany area considering the huge impact it will have on the community. The proposal for the construction of local casinos and gambling is quickly making its way through the system, leaving far too little time for the members of the community (those who will be most affected) to receive accurate information about how the city, their homes, and their lives will be impacted. Those in favor of the casinos are supporting the argument that it would result in an economic boon for Albany, increasing property taxes and creating jobs. However, there is abundance of studies that have been done in other cities where casinos have been opened that tell a different story. According to Steve Barnes, the author of a study about the impacts of a new Casino opening in Toronto, Canada (2013), many of the jobs associated with casinos are relatively low wage and low skill, such as hospitality and cleaning, in addition to service jobs like waitressing and bartending. Barnes also offers evidence that many of the jobs that casinos “create” come at the expense of employment in other industries if consumers substitute gambling for other consumption. Thus casinos may very well take away good jobs and replace them with bad jobs. Steve Barnes’ study provides even more information about the dangers of problem gambling, saying that there is a clear link between the availability of casinos and increases in problem gambling (2013). A study in Niagara Falls that he references found that rates of pathological gambling increased from 2.5% to 4.4% of the population in the one-year period after the first casino opening. Problem gambling increases stress, harms financial well being, is linked with increased crime, contributes to job losses and lost work productivity, and can lead to addiction. It can lead to an inability to pay for essential items like food and housing. It increases the need for medical care, policing, courts, prisons, and social assistance, all of which represent significant public costs. It also contributes to individual and community level hardships that have social and economic costs like business loss, bankruptcy, family breakup, fraud, theft, and homelessness. There are also clear links between problem gambling and problem drinking, a combination that increases risk of intimate partner violence (Barnes 2013). Not all populations are at equal risk of problem gambling. People who are living in poverty are more likely to spend a higher proportion of household income on gambling than higher income households because living in poverty is associated with increased financial risk taking. Also those who are likely to experience unemployment and underemployment, which can lead to poverty and increased risk taking, as well as those who are experiencing high levels of social isolation, are likely to problem gamble. Finally, seniors and young people (like college students) are also more likely to have problems with gambling because they are on fixed incomes, as well as accumulated savings for seniors (Barnes 2013). 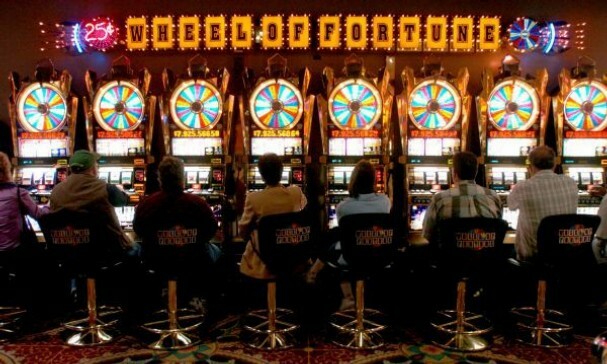 There is obviously a lot to consider before jumping to support the proposed casino. Perhaps those in power are blinded by the money they are predicting they will make, or maybe they are simply dazzled by the glitz and glamor they associate with casinos. Either way, it’s time to hear what YOU have to say. Please comment with your thoughts and opinions! This entry was posted in Local Issues, Poverty, Uncategorized and tagged albany casino, casino impact on economy, casinos and crime, holding our own, poverty, problem gambling, proposed casino, she breathes, women and poverty. Bookmark the permalink.